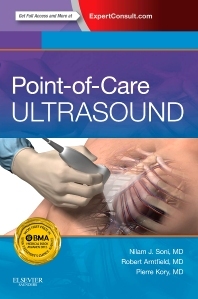 Access all the facts with focused chapters covering a diverse range of topics, as well as case-based examples that include ultrasound scans and videos. Expert Consult eBook version included with purchase. This enhanced eBook experience allows you to watch more than 200 ultrasound videos from real-life patients that demonstrate key findings; these videos are complemented by anatomical illustrations and text descriptions to maximize learning. You'll also be able to search all of the text, figures, and references from the book on a variety of devices.